Yes, Quartzsite has a very nice Dog Park open to the public! Benefits: Dog owners bring their pets to the park to get exercise and socialize with other pets. Dog owners do the same thing. While the dogs are playing, community members are more likely to form relationships, participate in conversation and exchange community information such as events, doctors, and veterinarians. Off-leash parks are good for dogs, their guardians and the whole community. WATCH FOR IMPROVEMENTS COMING SOON! 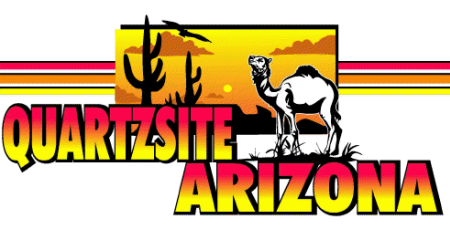 The Town of Quartzsite will be adding shade shelters and is looking to add another section to the existing Dog Park.